Last year, Pixar’s “Coco” won every category it was nominated in – which happened to be all but one of the categories that every other animated feature could qualify for. This year, the studio’s “Incredibles 2” leads all films with 11 nominations. But because it is missing in the Production Design in an Animated Feature category, “Incredibles 2” does not have the chance to completely dominate the night. “Isle of Dogs” director Wes Anderson was left-off the Best Director of an Animated Feature list, though his stop-motion adventure is a Best Animated Feature nominee. Anderson did win the Annie for Writing in a Feature Production for 2009’s “Fantastic Mr. Fox” and was nominated in the director category. Looks like Genndy Tartakovsky, for “Hotel Transylvania 3: Summer Vacation”, took his slot this time. Even with a February open and just $8 million at the U.S. Box Office, Aardman’s “Early Man” still managed to pick up several nominations, including Best Animated Feature and Best Director for Nick Park. Park’s competition is Tartakovsky, Brad Bird (“Incredibles 2”) and the directing teams of “Ralph Breaks the Internet” and “Spider-Man: Into the Spider-Verse”. “Dr. 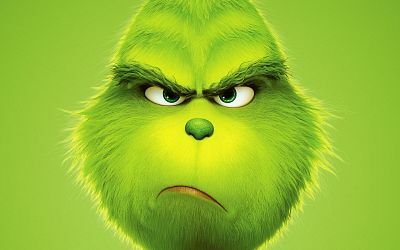 Seuss’ The Grinch” is among other high-profile animated films that just received one or two noms each, including “Smallfoot” (Music) and “Teen Titans Go! To the Movies” (Writing). 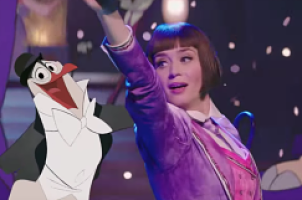 A section of Disney’s “Mary Poppins Returns” is devoted to Mary, Jack the Lamplighter and the three Banks children in a fantastical animated universe. It’s an homage to the sequences in the original, and Disney even had legendary animators come back to draw the beautiful hand-drawn animation of dozens of animals. But it’s only about 20 minutes of the movie. “MPR” has received Annie noms for the animation, but a couple of them, such as Character Design in an Animated Feature Production is leaving people questioning what the true definition is of an “Animated Feature Production”. The Annie Awards will be livestreamed on Saturday February 2nd at 10pmET. For the complete list of nominees, visit AnnieAwards.org.